Founder of Thekkiny Krupa Ayurveda hospital is our great grandfather, late Sri Ayyappan vaidyer. He had long tradition in ayurveda medicine. He was practicing at home and was more concentrating as a general practitioner. As a second generation our grand father late Sri.Krishnan vaidyer started practicing ayurveda from his young age itself. He studied in “Gurukula Sampradaya”- i.e. learning by staying with the teacher. 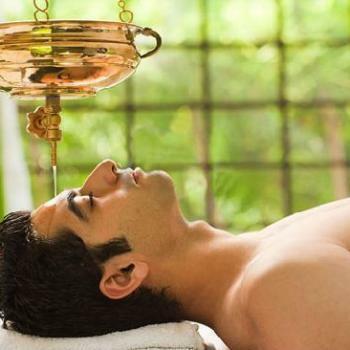 He attained a vast knowledge and practice in Ayurveda. He was more dealing with “Balachikitsa” section i.e. the pediatric section of Ayurveda. Which was not so commonly practiced. All the diseases like vatha roga or painful joint conditions and other skin, respiratory and other General diseases also were fruitfully treated by him. From the interior place of Kothamangalam (a village named ayyankavu) he shifted to a new clinic with all the facilities of O.P at Kothamangalam cheriya pallithazham. The new replacement made him so famous in near and far villages of kothamangalam and he was a very well known vaidyer of 1945-1960 era. During this time he attained a medicine preparation unit by knowing the necessity of genuine preparation of medicine. For this he was depending the nearby village men to collect the pure herbs from the forest near to kothamangalam. The mode of treatment was by preparation of decoctions (“Kashaya”) thaila, (medicated oil) and gulika (self prepared tablets). These were giving a very interesting result in many electronic diseases and he became so popular in Kothamangalam and he was known as the “Doctor of common people” . During 1965-1970 his son late Dr.T.K Prabhakaran owned the degree of ayurveda DAM from Govt. Ayurveda Collage Thiruvananthapuram. He became a scholar in ayurveda had long view about practicing ayurveda. He attained the job as Govt. research officer at Lucknow, but he was left the job to serve people in mother town and to help his father in the O.P. During this Govt job of medical practitioner was also awaiting him and he continued in that post for long 30 years till his retirement. In this time he established the hospital Thekkiny Kripa AyurKendra at kothamangalam which had both O.P and I.P facilities. He expanded the production unit by preparing more number of medicines including churnas (medicated powder) and arishtas and asavas (fermented decoction). He was well known for treating both acute and chronic cases and had good knowledge in nadee pareeksha. He was giving counseling to the patient along with medicine, and the method of Psychological mode of treatment made him a family doctor for all the patient he dealt with. He was keeping a soul to soul relation with the patients and was doing miracles in the society, even though allopathic medicine was the leading one. For the Chronic cases of skin diseases and respiratory illness, including pediatrics section. 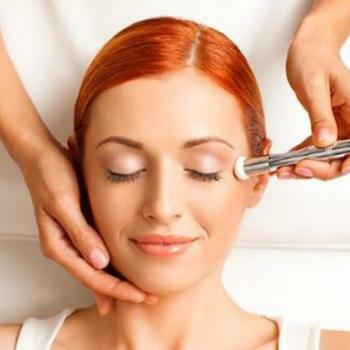 Thekkiny institute was the last option for the patients, and they had a firm belief it gave result. The reason of this perfection was the genuinity of medicine which is self prepared and the blessings of lord dhanwanthari and devi. We believe, and of course the great knowledge of ancestors. Fourth generation in ayurveda medicine of Thekkiny is now in the hands of Dr T P Harikrishnan. He obtained his degree in Ayurveda, BAMS from the very old ayurveda educational institute of India,Venkatta Ramana College of Ayurveda Madras. He was following the foot steps of the ancestors in all aspect. He started an educational institution along with hospital. 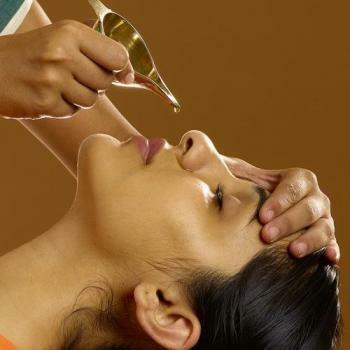 It was done with an intention of educating therapists genuinely practicing panchakarma. This was done, only when he found the difficulty in posting good panchakarma therapists who are properly practiced. Now around fifty students per year are getting passed out from the institution with a very good level of Panchakarma knowledge. 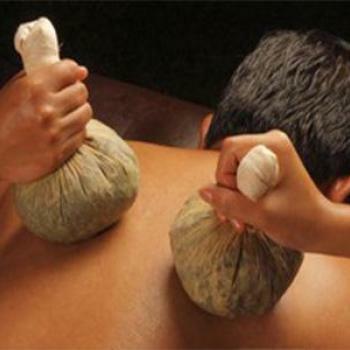 Many ayurveda institution all over India, and some countries like UAE ,Russia etc are getting services from the Therapists trained from Thekkiny Krupa Ayurkendra and proudly we can tell that the requirements of Pancha Karma therapists are awaiting due to the Excellency of the students from here. Dr T.P Harikrishnan along with Dr Roshni Hari and Dr Arya Prabhu, and with all the help of Dr.P.Dileepkumar BAMS, MD PHD started a new wing to Thekkiny Kripa, that is Kripa ayur ashram, which has a long view to accommodate and practicing foreign students and patients in a calm atmosphere away from the busy town atmosphere. It is running successfully with many number of students and patients from different countries of the world. Thekkiny Krupa Ayurveda Hospital ?